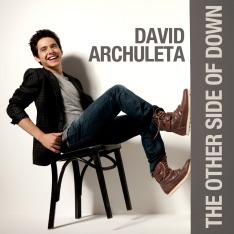 Though not as exceptional as his 2008 self-titled debut, David Archuleta’s sophomore album, The Other Side of Down (Jive Records), is a consistently rewarding collection that moves swiftly through 12 tracks, kicking things off with the catchy, spirited opener (the title track) to the eternally optimistic album closer, “My Kind of Perfect,” which serves to wrap up the disc on a heartwarming note…. Tyrone S Reid is a Jamaican writer and cultural critic who is passionate about the arts and providing cultural information for people who need it. Read the great comments about this review! This week no Idols make the Top 40. Fantasia’s Back to Me ranks the highest among American Idol albums, according to Nielsen SoundScan, its 9,000 sales enough to put it at No. 46 on The Billboard 200. Carrie Underwood’s Play On and Daughtry’s Leave This Town also rank in the top 100, while the latest albums from David Archuleta and Adam Lambert make the chart’s bottom half…. KATHMANDU – This week’s top spin is studded with soul-tickling creations from Orianthi, David Archuleta, Sheryl Crow, Akon, Ne-Yo, and Kelly Rowland. The best of the last few weeks’ releases, “Courage” by Orianthi, is one of the most entertaining secular yet genuine prayers ever; David Archuleta’s “Elevator” brings in a melodious dimension to elevator ride…. “Elevator” by David Archuleta is another song that arrives with a bang. In terms of music, vocals and lyrics, “Elevator” is subtle and strong. The song isn’t pushy, and allows the audience to go with the flow. Lyrically, I find its strength in the positive energy it keeps rolling just as Orianthi’s “Courage…” I would have the song as one of the best new releases with high prospects for commercial success…. They’re talking about David Archuleta in Kathmandu, Nepal! Announcing the Fan Fiction Finalists! Thanks to everyone who entered The Other Side of David Fan Fiction Contest! As usual, it was hard to narrow down your amazing submis­sions, but we were able to come up with 6 finalists. There are 3 written submissions…and 3 audio submissions…. Go to David Archuleta.com to listen to the three audio finalists and to read the three written ones. Then you can vote on your choice. 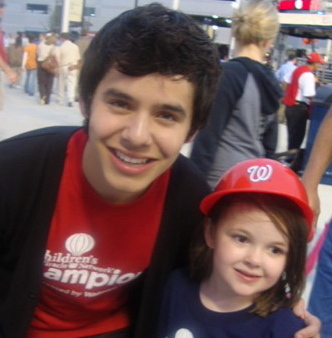 The Grand Prize winner gets a customized David Archuleta iPad™! We’re so glad that David has some down time at home! And when he found his laptop charger, he lost no time making a vblog for us! The guy’s a gem. 23 October, Eunice Kennedy Shrive Challenge for Special Olympics, Washington D.C.
David’s manager Melinda Bell tweets that David will also appear in Jakarta, Indonesia, and Kuala Lumpur, Malaysia. I’m thrilled for the Asian fans, but I hope he gets home for Thanksgiving this year! > There was white on the ground this morning. I’m not ready for winter yet. > A gloomy and cold evening, but these are the perfect times to bum around in comfy clothes and sit by a heater. > Idk why I always eat 5 times more this time of year. Maybe it’s like hibernating bears. Outside is all white and cold. > Went to an elementary school Halloween parade! How awesome are those?? I remember being a power ranger in kindergarten haha. > Yes! I finally found my laptop charger after a week of it being lost! > Hahaha just saw that #tosod is trending! Thanks you guys!! Hope you are enjoying the new album The Other Side of Down! David Archuleta has nearly 508,000 Twitter followers!! Reaching for a cool mil! 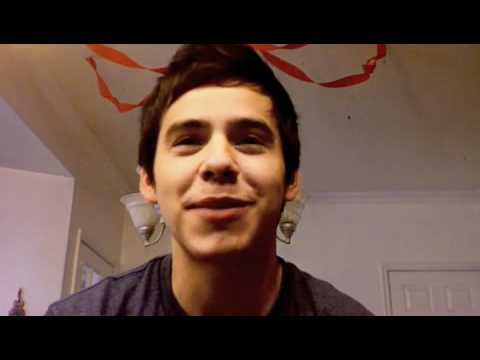 Follow DavidArchie on Twitter. During the past 27 weeks, David has averaged 5,666 new followers each week. David Archuleta, American Idol runner-up in 2008, has become in 2010 the subject of a Wikipedia free-for-all, where the facts of his personal history and his career are up for grabs. On the “most edited pages” list for Wikipedia articles, his article sits at number 91 – very high for an artist who’s been on the scene for two years, especially as Michael Jackson is number 115…. Idk why I always eat 5 times more this time of year. Maybe it’s like hibernating bears. Outside is all white and cold. “It’s in the Bag” Fundraiser! Attention David Archuleta fans: your donation will help raise money for this worthy cause and you might win a cool David Archuleta-styled denim handbag. Visit Angels for a Cause to see all the artistic bags. With a donation of at least $10.00, your name will be placed in the drawing. The It’s in the Bag contest ends November 23.